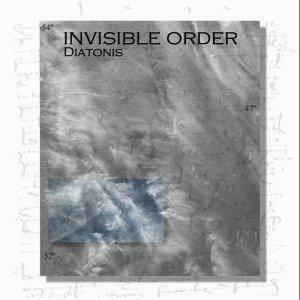 Stuart White, aka Diatonis, refers to the music on Invisible Order as "symphonic minimalism". It's an apt description. Using a technique similar to the tape loop system Brian Eno employed on his early ambient works, White creates a vast and spacious sound, like great, lazy cosmic waves. Here and there, voice samples fade in and out, like distant thoughts or the musings of ethereal beings, and sequences roll in now and then, beneath the waves, to keep the music moving forward all the time. The epic 16-minute opening track, Entrance to the Garden, is certainly one of my favorites on the album. It begins in strange and unfamiliar territory, like some electronic netherworld. There's no firm footing... the listener is cold and uncertain. But the music moves you forward, till you can feel solid ground beneath your feet, smell the fragrance of blossoms, hear the trickle of water and feel the warmth of sunshine. You have entered the garden. It reminded me a little at this point of Steve Hillage's classic Rainbow Dome Musik, without Steve's glissando guitar. Other classic influences are there, but are very subtle. Hints of Tangerine Dream and Vangelis emerge in Night Full of Stars. Subtlety is definitely the key here, but there are many, many shades to it. The music is sometimes grand and majestic, as in Opening the Door, other times, hidden, cloaked in mystery, like the appropriately titled Conceal. Finally, on Tilting at Windmills, it's tranquil and soothing, like a scene from some impressionist painting. Like the ambient music of Brian Eno, Invisible Order is the kind of music that, if listened to closely, will always reveal something interesting to the ear, but it's also perfect to fade into the background, becoming part of the environment, adding it's own shades and tones to the surrounding world. For more information you can visit the Diatonis web site at: http://www.diatonis.com. Contact via snail mail c/o Diatonis; PO Box 341492; Arleta, CA 91334.